There aren't many games like WindForge around, even though the game is another side-scrolling survival title. 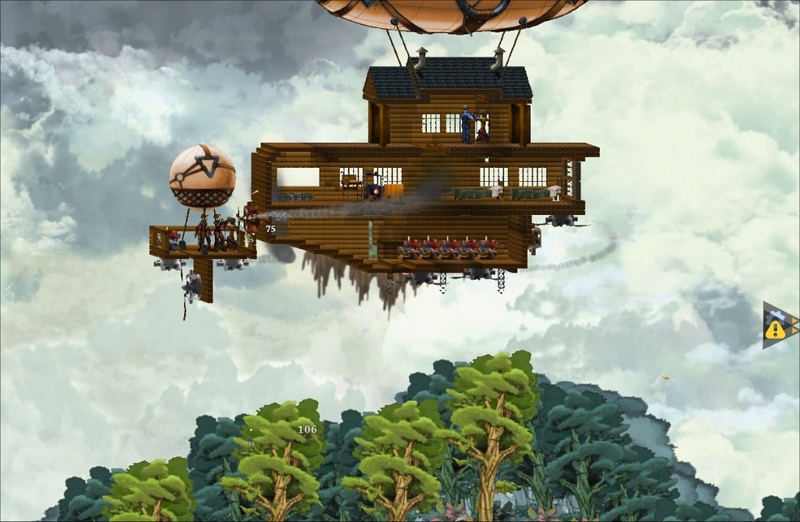 What's rare about the game is the fact that it's all about the player and their airship: Your airship is your lifeblood. Snowed-In Studios' side-scrolling craft-and-scavenge title has some good and bad parts about it (that I've encountered so far) that helps make it stand apart from the competition and yet also restricts it from being as great as it could be. So, first up, if you've played Terraria or Starbound or any game of that ilk, you have a basic understanding of how WindForge is played. 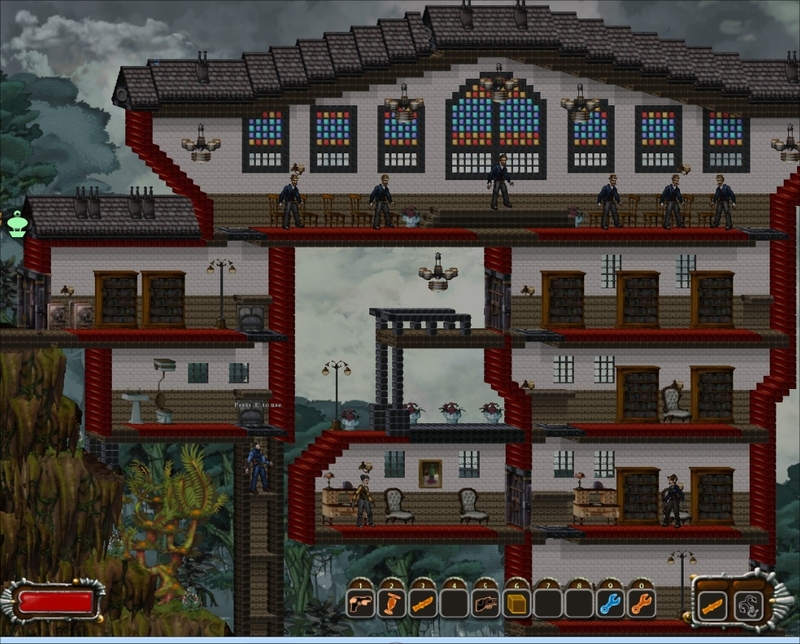 The thing about WindForge is that you can't really go at it the way you do in Terraria or Starbound. The game is structured a lot more like a real RPG; there are actual quests, an actual story direction, actual progress and real threats all over the game's maps... yes, maps. I'll get to the maps later. Early in the game you have to raid a temple and grab a tablet as your first quest. 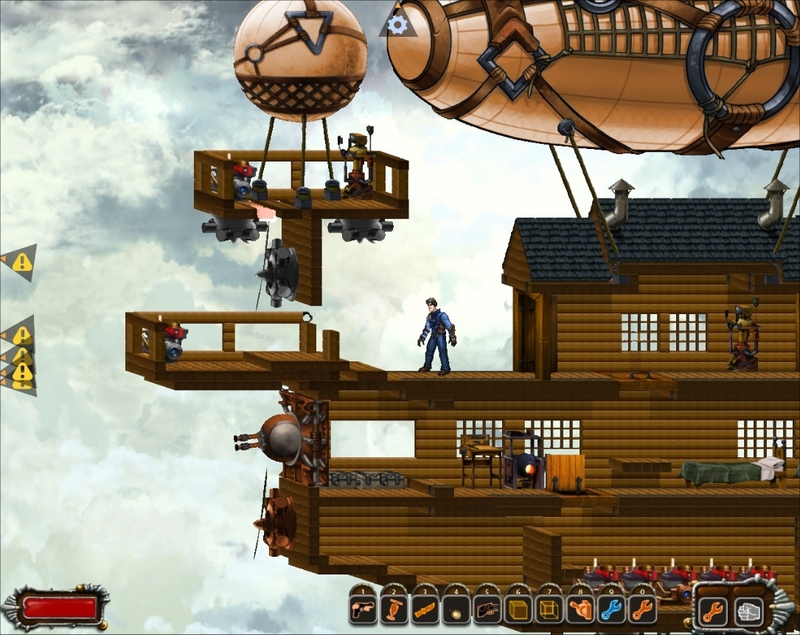 The next quest is actually a tutorial teaching you how to repair, build and craft your airship. It's one of the few games where I didn't hate the obligatory tutorial phase because it was actually story-oriented. The highlight of WindForge comes with the realization that you can completely customize and modify your airship the way you want, how you want, whenever you want. In this regard, the game starts to feel a whole lot like Allods Online when you had your crew and your massive astral ship and you were venturing about the astral, shooting down demons with the cannons, repairing damage and scavenging for goods. That's not to mention that the combat in WindForge, with the physical destruction and cannon fodder galore, is absolutely righteous. However, WindForge is hard. Very hard. As you travel about you'll encounter flying monsters, sky bandits and other obstacles in your quest to hunt, preserve or observe the flying sky whales. Unfortunately, I had a tough time taking down the small bandit ships powered by a single balloon and a few propellers. The difficulty of the game lies in the fact that you have to man your ship, shoot your cannons and repair the damage all by your lonesome. It takes skill and requires a real learning curve on the player's end if you hope to survive the sky dangers of WindForge. I always enjoy a game with a good challenge, so this was a welcomed change of pace from the very easy-going and casual gameplay featured in Starbound. Nonetheless, I do have one major gripe with WindForge: the maps. The game world may be procedural but the world itself is broken down into various smaller sub-sections, with each map being its own little instanced area. You can fly to different maps by going to edge of the screen, where it'll load shortly and take you to the next section. There's about four or five full screen widths worth of explorable area per map (though the size may vary). This may not seem like much of an issue, and it wasn't at first, until I realized that a lot of evasive maneuvering for larger airships required more room, and thus, it became difficult dogfighting when there just wasn't enough room to fully maneuver a spacious airship about. I don't know if that's something that can be fixed, but my airship was moderately sized. But if you were building like, a massive air-station, it wouldn't really be possible to maneuver it much. Still, the combat is pretty slick, and the weapons and art-style are pretty unique and fun to use. I especially liked shooting stuff out of the air in my ship. I may put in some more time with the game to see if some of the more unexplored maps offer a bit more room to fly around in. If you're looking for a game that puts airships as a center focus of your exploits, I can't say that you would go wrong with WindForge. The game offers a fair bit of content for only $14.99 and I'm still only early on in the game. You can pick up a digital copy from Desura, Humble Store or Store. For more info feel free to learn more by visiting the official WindForge website.